Apple’s gearing up for a massive 2018, as Cupertino is set to make upgrades across the entirety of its product lineup. Just as we’re recovering from the company’s somewhat controversial 2018 MacBook Pro refresh, reports for this year’s iPhone and iPad upgrades have started to surface. In fact, reports are not the only bits of information that have surfaced over the past couple of months. Recently, we also witnessed a Eurasian Economic Commision filing update from Apple that lent credence to rumors for new iPhones and iPads this year. Now, a freshly alleged schematic for the larger 2018 iPad Pro has come to light. Take a look below for more details. As low-power personal computing has become increasingly mobile, 2-in-1 devices, tablets, and ultrabooks are increasing in popularity. Apple’s iPad Pro also sits neatly in this segment, managing to provide more computing power than several low-powered notebooks out there. However, the one thing where the iPad lacks is proper accessory support. While the tablet can support a large array of peripherals that do provide users with a notebook-esque experience, it’s still different from what Microsoft’s low-end Surface lineup brings to the table. 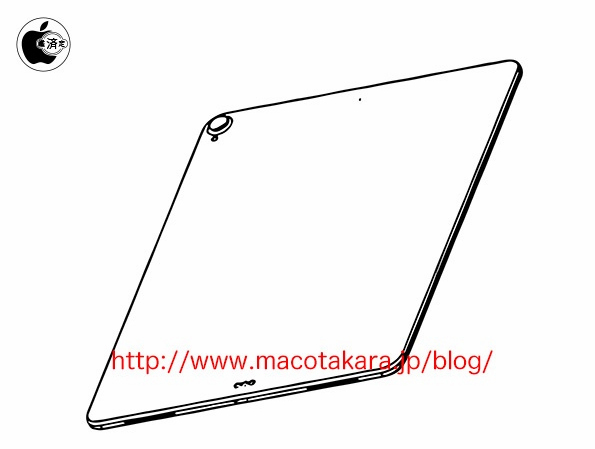 We’ve got a fresh CAD leak today that allegedly displays the lower back of Apple’s 2018 iPad Pro. There’s an interesting cutout right above the lightning connector that just might provide details into Apple’s plans for this year’s upgrade. Keep in mind that we’re yet to see the A11 or its derivative make it on Apple’s tablet lineup, despite the processor finally providing Cupertino with the much needed multi-core performance boost courtesy of a hexa-core architecture. A recent report about the 2018 iPad Pro claims that the tablet will relocate the smart connector at the bottom. However, this cutout as can be seen above is quite different from the smart connector found on the current iPad. Which once again conflicts two different reports. If Apple is to change position for the smart connector, then either today’s render is unauthentic or the report for the relocation is. The position of this ‘groove’ is similar to an image shared by Japanese blog MacOtakara, who’s responsible for the first claims about the smart connector’s relocation. We’ve shared the image in the gallery above. 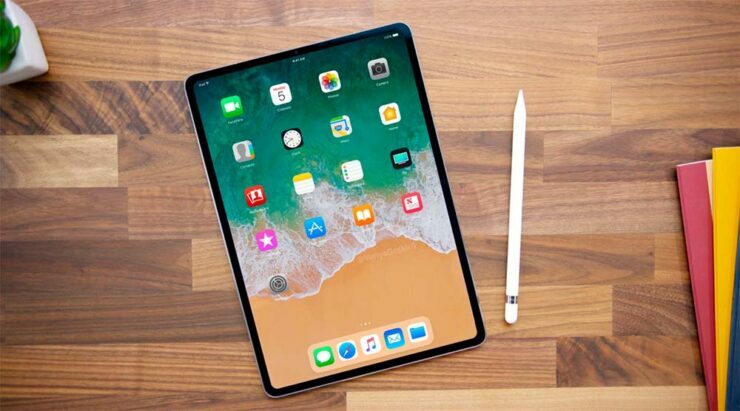 Additionally, while the render’s source gives us a disclaimer about its authenticity, the alleged iPad in the image is out of proportion as well, with its perspective lines seemingly not making any sense. All this information forces us to also treat this one with a grain of salt. The 2018 iPad Pro is also rumored to feature 3D Facial recognition as Apple will unify the design theme for its mobile gadget lineup this year. Thoughts? Let us know what you think in the comments section below and stay tuned. We’ll keep you updated on the latest.